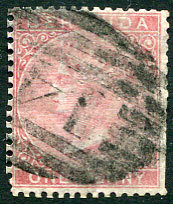 on 1865 QV 1d pale rose CROWN CC INVERTED wmk (SG.2w), some trimmed perfs but an extraordinary and extremely rare combination. 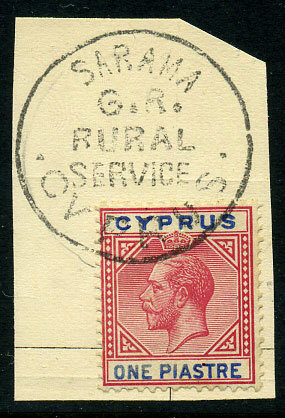 (M3) inverted code 3/SP 26 03 on 1d Seal (SG.107), currently the only recorded date with this variety. 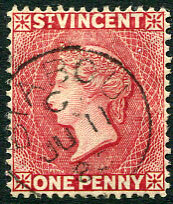 on 1865 QV 1 pale rose Crown CC INVERTED wmk (SG.2w, Cat.£250), rare combination. 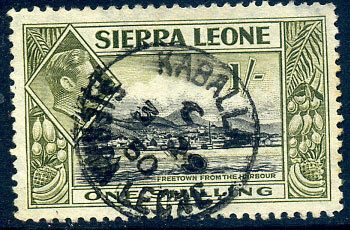 (125.01) dated */8 4 51 (most unusual) on KG6 1/3d (SG.196a). 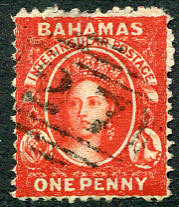 on QV 1/- orange Crown CC INVERTED wmk (SG.70w). on QV 1d with mysterious deep plum shade (SG.18var), corner faults. 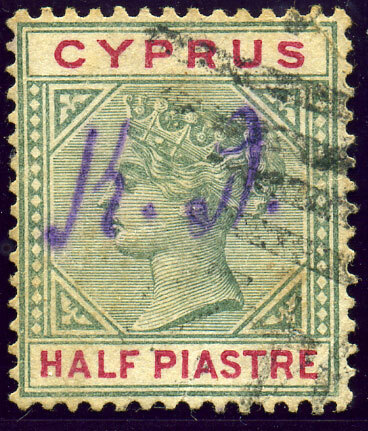 on QV 2½d on 4d 1½mm spacing showing broken H, E and Y (SG.30ca, Cat.£110). 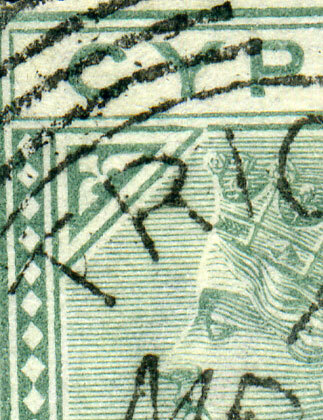 (T.4) A/MR 26 88 on DETACHED TRIANGLE QV ½pi dull green Crown CA wmk (SG.16ab, Cat.£275). 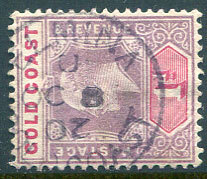 (156.02) C/MY 15 22 on KGV 2d MCA INVERTED wmk (SG.115w, Cat.£40.00). 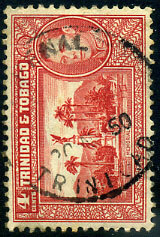 (057.02) dated C/3 29 50 (3 for MR) on KG6 1/- (SG.196), unusual. (057.02) an unusual duo dated C/MR 1 45 and C/AP 30 45 on KG6 1d, 1½d (SG.189, 190a) showing handstruck large "MR" month slug at 11 o'clock, and large "30" day slug at 1 o'clock on the cds's. 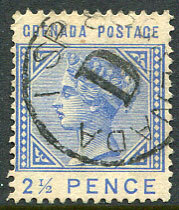 on QV 2d Crown CC INVERTED wmk (SG.9w, Cat.£32), tone spot. 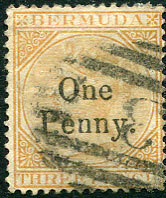 on QV 2½d on 4d "PFNNY" variety (SG.30c), rare on this. 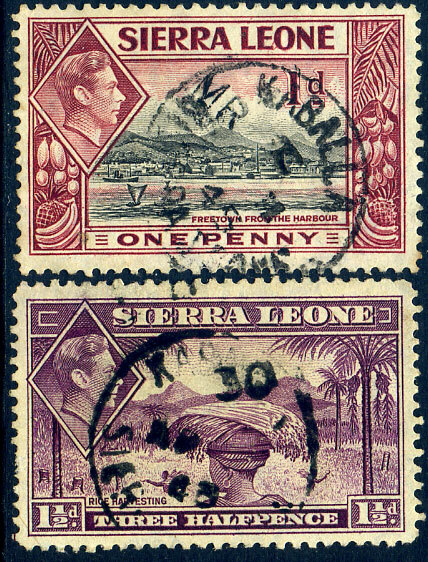 (124.01) A/MY 26 22 on KGV 2d MCA INVERTED wmk (SG.115w). 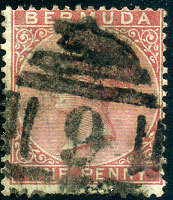 (126.02) C/AU 14 22 on KGV 2d MCA INVERTED wmk (SG.115w). 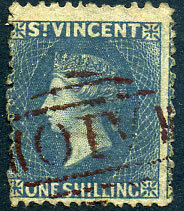 dated C/AU 14 5 on KE7 1d MCA wmk (SG.86) showing damaged "T" in "VINCENT"
(C2) on 1d grey-blue REVERSED CC wmk (SG.74x). 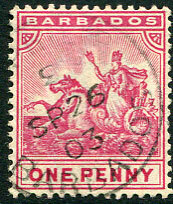 on 1879-82 ½d lilac REVERSED CROWN CC wmk (SG.98x). 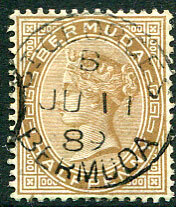 (Type 0.7 large) dated 23/AU 19 1880 on REVERSED CROWN CC ½d lilac (SG.98x), toning/oxidisation. (T.5a) JU 17 85 on REVERSED Crown CA wmk 8c rose (SG.174x, Cat.£200). 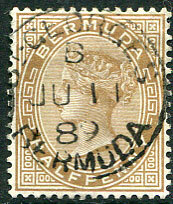 (M2-R, replacement) dated 2/JU 8 81 on Crown CC REVERSED ½d bright green (SG.72x), very rare on Britannia issues. 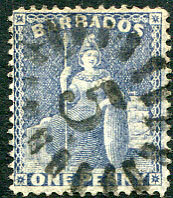 (D/R) in blue ink dated DE 6 06 on 1d Arms (SG.39a). 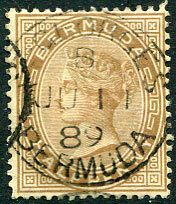 (M2-R) showing "7" code most unusually facing 1 o'clock dated JY 8 85 on QV 1d (SG.92), perf. defect at top left. 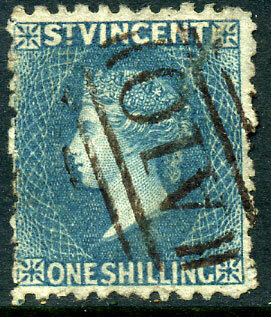 (PML.3) in brown ink on 1866 “bluish shade” 1/- slate-grey P.11 to 12½ (SG.8, Cat.£900.00), fine well-centred used. on QV 1d blue Crown CC INVERTED wmk (SG.8w), perf. faults.